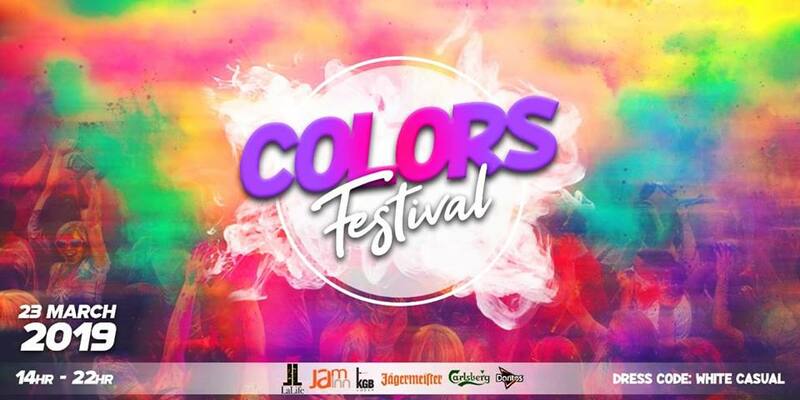 LaLife brings you a Premiere of Colors Festival! with Saat Saheli Dance Group bringing your way the best of bhojpuri jalsas live & direct with all instruments. Our Official MC AKA Metter Choula 😛 is none other than Christopher Warren Permal!!! For a spicy bite, we shall have Punjabi Dhaba with many mouthwatering snacks & BEHOLD!!! JALEBI Live Cooking. Dress Code : White Casuals & Strictly no heels. At Door, you will be given a pocket bag of color, But feel free to bring as much as you want! 3) Reproduction of this ticket is illegal and subject to an offence of fraud. 8) Minors need to be accompanied by a parent or responsible party. 10) This ticket may not be used for advertising, promotion or other trade purposes without the express consent of the Management. 12) By participating to this event you accept to be photographed and filmed. 13) WARNING-EXCESSIVE EXPOSURE TO LOUD MUSIC MAY BE DAMAGING TO YOUR HEARING.